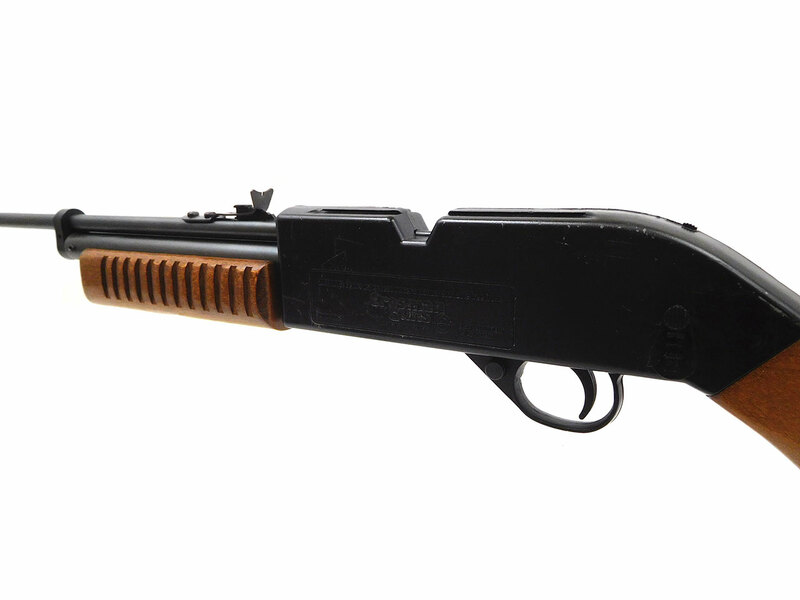 The Crosman 760 is one of the most successful airgun designs of all time. 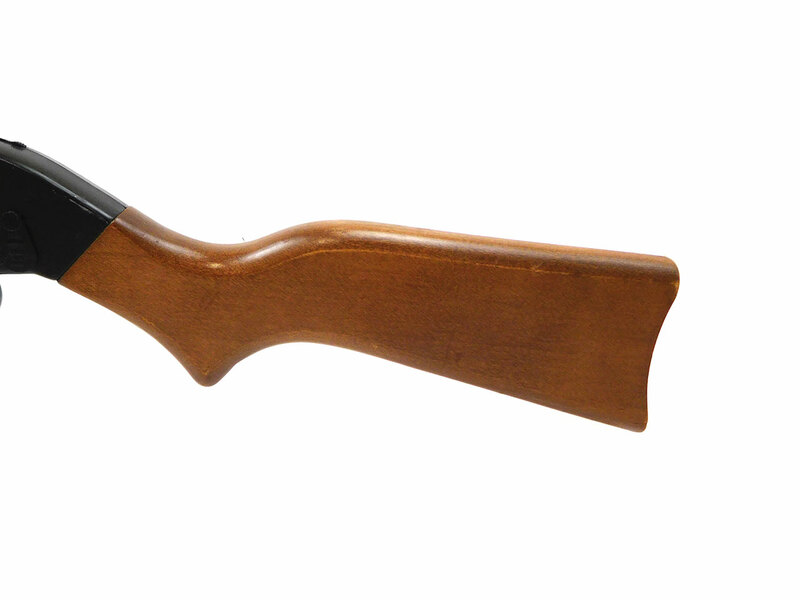 Since 1965, millions of shooters have enjoyed this gun. 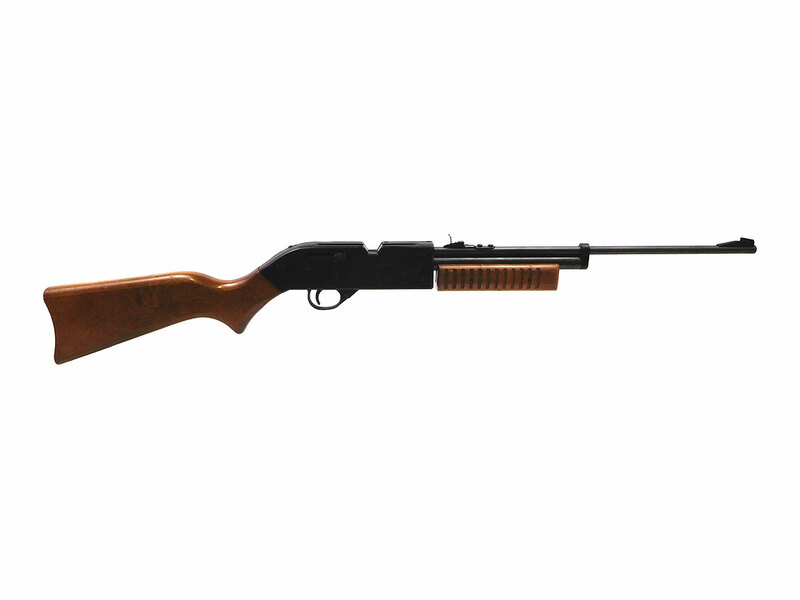 This Crosman 760 is a dual ammo multi pump air rifle with elevation adjustable rear sights, ramped front sights and dovetail scope rails for mounting a scope. 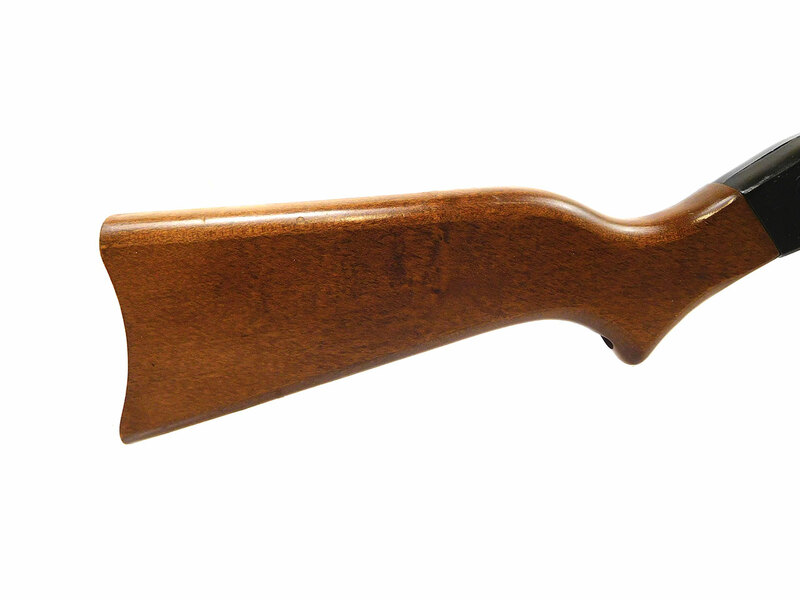 This is a 25th anniversary commemorative version with a wood stock and metal receiver. 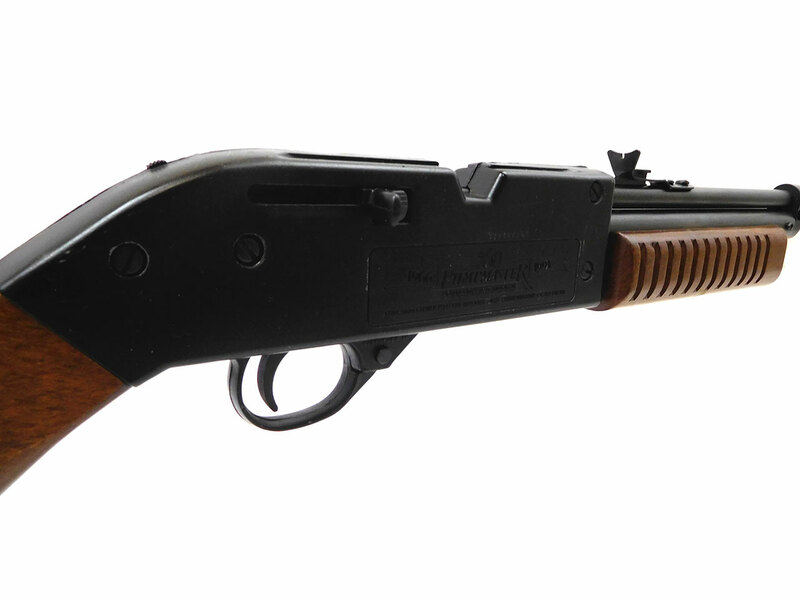 The wood stock and forearm pump handle are in better than 95% original condition, and the metal retains about 87% of the original finish. Very nice! It’s been cleaned, lubed, and resealed in our shop. 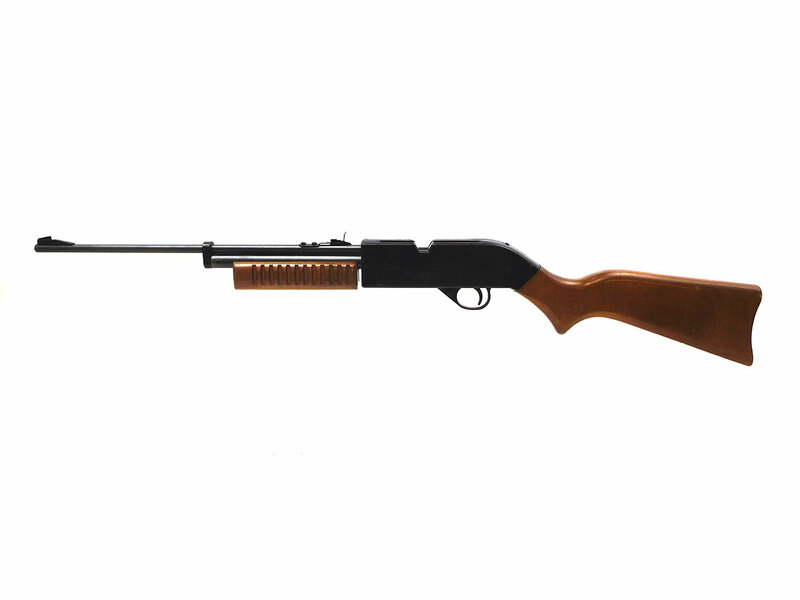 Velocity tested at around 570 fps using steel BBs.